PhD, MEd, BA, RGN, FHEA. Visiting Professor, School of Nursing, The University of Hong Kong. Visiting Professor, School of Nursing and Midwifery, University of Brighton (UK). Family presence during resuscitation: implementation and practice in the emergency department? Title: Developing a clinical placement evaluation tool. Grant Applicants: Cooper S, Henderson A, Waters D, Willetts G, Reid-Searl K, Tower M.
Grant Applicants: Chan M, Wong J, Chan C, Pang M, Lee J, Cooper S, Chow D, Chan E.
Grant Applicants: Chung C. Cooper S. Allen L. Bathgate J. Grant Applicants: Crinall K; Yell S; Porter J; James A; Whyte S; Edmonson E; Cooper S; Mayberry D.
Title: Innovative Simulation Pedagogy for Academic Development. Grant Applicants: Sammut R, Cassar M et al (The University of Malta) with partners from Norway, UK, Finland, Italy and Ireland and non- European consultants from Australia, S Korea and Egypt. Title: Interprofessional student simulation experiences: Enhancing self-management of acute asthma through web based simulated resources. Grant Applicants: Simon Cooper, Louise Allen, Alison Beauchamp, Shane Bullock, Robyn Cant, Nicole Coombs, Anita Giannis, Ruben Hopmans, Lisa McKenna, Susan Waller. Title: Does point of view recording to develop nontechnical skills promote flexible and engaging learning activities and assessments? Grant Applicants: Bogossian F. McKenna L. Cooper S. Levett-Jones T.
Title: The impact of face-to-face and web-based simulation on patient deterioration and patient safety. Grant Applicants: Cooper S. Kinsman L. Nankervis K. Norman L. Cant R. Cash P. Kim JA. Chung C. McKay A. Connell C.
Title: Developing and disseminating web based educational approaches for enhanced patient deterioration management. Grant Applicants: Cooper S. Cant R. Hopmans R. Arthur D. Porter J. Bogossian F.
Grant Applicants: Cooper S. Cant R. Hopmans R. Porter J. Bogossian F.
Funding Body: Monash University Faculty of Medicine Nursing and Health Sciences. Grant Applicants: Chan M. Frances K. Cooper S.
Title: The Team Emergency Assessment Measure: Validity, Reliability and Feasibility testing in clinical resuscitation teams: A translational collaboration between Monash University, Northeast Health and Central Gippsland Health Service. Grant Applicants: Cant R. Cooper S. Porter J. Funding Body: Campus Grant (Berwick) Monash University. Title: The Team Emergency Assessment Measure: Validity, Reliability and Feasibility testing in clinical resuscitation teams: A translational collaboration with Monash University, Monash & Alfred Health. Grant Applicants: Cooper S. Nestell D. Porter J. Ireland S. Connell C. Symmonds M.
Funding Body: Faculty of Medicine, Nursing and Health Science. Strategic Grant Scheme. Monash University. Grant Applicants: Cooper S. Williams B. Sparkes L. O'Meara P. Bogossian F.
Grant Applicants: Endacott R. Winfield L. Bradbury M. Jenkin A. Scholes J. Cooper S. Kinsman L.
Title: Managing patient deterioration: Enhancing student nurses' competence through web-based simulation and feedback techniques. Grant Applicants: Cooper S. Kinsman L. Porter J. McKenna L. Endacott R. Cant R. Devries B. Bogossian F. Varghese P. Bucknall T. Forbes H. Phillips N.
Title: Managing patient deterioration: rural hospital clinical skills? A partnership program with West Gippsland Healthcare Group. Grant Applicants:.Simon Cooper; Leigh Kinsman; Tracey McConnell-Henry; Jo Porter; Robyn Cant; Penny Buykx; Ruth Endacott; Robert Champion; Julie Scholes. Grant Applicants:.Cooper S; Kinsman K; McConnell-Henry T; Endacott R; Scholes J; Champion R.
Title: Identifying maternal and neonatal deterioration in a simulated environment: Measuring and developing student midwives' knowledge, clinical skills and situation awareness. Grant Applicants: Cooper S; Biro MA; Miles M; Jones J; Kinsman L; Gilmore C, Endacott R; Scholes J; Bulle B, Bolland R.
Grant Applicants: Cooper S, Birks M. Porter J. Kinsman L.
Title: Capacity optimization: Regional primary health care providers' response to 2006-2007 wildfires and floods in Gippsland – a case study. Grant Applicants: Cooper S.Nestel D. Sellick K. Somers G. Kinsman L. Porter J. Grant applicants: Kinsman L. Cooper S. Endacott R. Scholes J. Title: Objective Structured Clinical Examinations; Expert clinical examiners decision processes? Are they Recognition Primed? 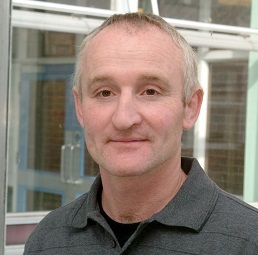 Grant holder: Cooper S.Winfield L. Bradbury M.
Top 10 cited papers (2006-2008) in Resuscitation (IF 4.14). Cooper S. Janghorbani M. Cooper G. A decade of in-hospital resuscitation: Outcomes and prediction of survival? Resuscitation, Volume 68; Issue 2 (2006), Pages 231-237.
Cooper S and Lewy L. Chapter 2 Communication Skills. In Selected Material from Oxford Handbooks in Nursing. Nursing: Study and Placement Learning Skills. Clinical Nursing Skills: Core and Advanced. Eds Endacott R. Jevon P Cooper S. Oxford University Press and Royal College of Nursing. 2011 Oxford. Cooper S. & Lewy L. (2009) Communication Skills. Chapter in Adult Clinical Skills Nursing Skills. Eds Endacott R. Jevon P Cooper S. Oxford. Oxford University Press. Cooper S. (2009) Recording an ECG. Chapter in Adult Clinical Skills Nursing Skills. Eds Endacott R. Jevon P Cooper S. Oxford. Oxford University Press. Seaton P. Levett-Jones T. Cant R. Cooper S. Kelly M. McKenna L. Ng L. Bogossian F. Exploring the extent to which simulation-based education addresses contemporary patient safety priorities: A scoping review. Collegian. In press – accepted 2018. Chung C, Cooper S, Cant R, Gazula S, Connell C, McKay A, Kinsman L, Boyle J; Cameron A; Cash P, Evans L; Kim JA, Masud R; McInnes D; Norman L; Penz E, (2018). The educational impact of web-based and face-to-face patient deterioration simulation programs: an interventional trial. Nurse Education Today. Vol 64, pp93-98. Porter J. Cant R. Cooper S. (2018) Rating teams’ non-technical skills in the emergency department: A qualitative study of nurses’ experience. International Emergency Nursing. 38; 15-20. Bogossian F. Cooper S. Kelly M. Levett-Jones T. McKenna L. Slark J. Seaton P. (2018) Best practice in clinical simulation education - are we there yet? A cross sectional survey of simulation in Australian and New Zealand pre-registration nursing education. Collegian. 25,3,327-334. Cant, R. P, Cooper, S. J. (2017) The value of simulation-based learning in pre-licensure nurse education: A state-of-the-art review and meta-analysis. Nurse Education in Practice 27, 45-62.
Cooper, S. J., Hopmans, R., Cant, R. P., Bogossian, F., Giannis, A., & King, R. (2017). Deteriorating patients: Global reach and impact of an E-simulation program. Clinical Simulation in Nursing, 13(11), 562-572. Liaw S. Y. Chng Y. K; Wong L. F; Ho J. T. Y; Mordiffi S. Z; Cooper S; Chua W. L; Ang E. N. K. (2017) The impact of a web-based educational program on the recognition and management of deteriorating patients. Journal of Clinical Nursing. 26:4848-4856. Ghareeb A. Cooper S. McKenna L. (2017) Anxiety and Clinical Performance in Simulated Setting in Undergraduate Health Professional Education: An Integrative Review. Clinical Simulation in Nursing. 13, 478-491. Tan A. J, Siang C. L, Lin P. X, Cooper S, Lau L. S, Chua W. L, Liaw S. Y, (2017) Designing and evaluating the effectiveness of a serious game for safe administration of blood transfusion: A randomized controlled trial. Nurse Education Today. 55; 38-44. Crawford J. Cooper S. Cant R. DeSouza R. (2017) The Impact of Walk-in Centres and GP Co-operatives on Emergency Department Presentations: A Systematic Review of the Literature. International Emergency Nursing. 34; 36-42. Narayan K. Cooper S. Morphet J. Innes K. (2017) The effectiveness of paracetamol versus ibuprofen administration in febrile children: A systematic literature review. Journal of Paediatrics and Child Health.53, 800-807. Gazula S. Cooper S. Paliadelis P. McKenna L. (2017) A systematic review of Reciprocal Peer Tutoring within tertiary health profession educational programs. Journal: Health Professions Education. 3, 2, 64-78. Cant R. P., Cooper S. J. (2017) Use of simulation-based learning in undergraduate nursing education: An umbrella systematic review. Nurse Education Today 49: 63-71. Al-Moteri M. Symmons M. Plummer V. Cooper S. (2017) Eye tracking to investigate cue processing in medical decision making: a scoping review. Computers in Human Behaviour. 66; 52-66. Callaghan A. Kinsman L. Cooper S. Radomski N. (2017) The factors that influence junior doctors' capacity to recognise, respond and manage patient deterioration in an acute ward setting: An integrative review. Australian Critical Care, 30, 4, 197-209. Cant, RP, Porter, JE, Cooper, S. J, Roberts, K, Wilson, I, Gartside, C. (2016) Improving the non-technical skills of hospital medical emergency teams: The Team Emergency Assessment Measure (TEAM™). Emergency Medicine Australasia. 28, 6, 641-646. Sparkes L. Chan M. Cooper S. Pang M. Tiwari A. (2016) Enhancing the management of deteriorating patients with Australian on line e-simulation software: Acceptability, transferability and impact in Hong Kong? Nursing and Health Sciences. 18; 393-399 . Ghareeb A. Cooper S. (2016) Barriers and enablers to the use of high-fidelity patient simulation manikins: An integrated review. Nurse Education Today. 36. 281-6. Chong M, Francis K. Cooper S. Ina S. (2016) Access to, interest in and attitude toward e-learning for continuous education among Malaysian nurses. Nurse Education Today. 36, 370-374.
Cooper S. Simulation versus lecture? Measuring Clinical impact: Considerations for best practice. Commentary on: "Stayt LC, Merriman C, Ricketts B, et al. Recognizing and managing a deteriorating patient: a randomized controlled trial investigating the effectiveness of clinical simulation in improving clinical performance in undergraduate nursing students. J Adv Nurs. 2015 Jul 6. Evid Based Nurs doi:10.1136/eb-2015-102221 2016, 16. 19 page 55. Browning M. Cooper S. Cant R. Sparkes L. O’Meara P. Williams B. Bogossian F. Ross L. Munro G. (2016) The use and limits of eye-tracking in high-fidelity clinical scenarios: a pilot study. International Emergency Nursing. Int Emerg Nurs. 2016 Mar;25:43-7.
Cooper, S., Cant, R., Bogossian, F., Kinsman, L., & Bucknall, T. (2015, February). Patient deterioration education: Evaluation of face-to-face simulation and e-simulation approaches. Clinical Simulation in Nursing, 11(2), 97-105. http://dx.doi.org/10.1016/j.ecns.2014.10.010. Porter J. Cooper S. Taylor B. (2015) Family presence during resuscitation (FPDR). A survey of emergency personnel in Victoria, Australia. Australasian Emergency Nursing 18. 2. 98-105. Endacott R. Bogossian F. Cooper S Forbes H. Kain V. Young S. Porter J and First2Act team. (2014) Leadership & Teamwork in medical emergencies: performance of nursing students and Registered Nurses in simulated patient scenarios. Journal of Clinical Nursing. 24. 1 p90-100. Shaw F. and Cooper S. (2014) Stethoscope hygiene: A best practice review for health professionals. Australian Nursing and Midwifery Journal. 21; 8 p28. (Student publication). Chan Chong M, Francis K, Cooper S. Lim KL. (2014) Current Continuing Professional Education Practice among Malaysian Nurses. Nursing Research and Practice. Vol. 2014, Article ID 126748, 6 pages, 2014. doi:10.1155/2014/126748. (Student publication). Cooper S. Porter J. Peach L. (2014) Measuring situation awareness in emergency setting: a systematic review of tools and outcomes. Open Access Emergency Medicine. 6; 1-7. Sparkes L. Chan M. Cooper S. Pang M. Tiwari A. "Enhancing the management of deteriorating patients with Australian on line e-simulation software: Acceptability, transferability and impact in Hong Kong?" In press Nursing and Health Sciences. Accepted 15/3/16. Cant RP, Cooper S. J. The time is right for Web-based clinical simulation programs in nursing education. Journal of Nursing Education and Practice 2015; 5 (11): 113-119.
Cooper, S., Cant, R., Bogossian, F., Kinsman, L., & Bucknall, T. (2015, February). Patient deterioration education: Evaluation of face-to-face simulation and e-simulation approaches. Clinical Simulation in Nursing, 11(2), 97-105. Porter J. Cooper B. Taylor B. (2015) Family presence during resuscitation (FPDR). A survey of emergency personnel in Victoria, Australia. Australasian Emergency Nursing 18. 2. 98-105. The University of Queensland/Monash University Midwifery Curriculum Consortium (UQ - Bogossian, F. Fox-Young, S. Brady,S. & MU - McKenna, L. Cooper. S. Hall, H.) (2010) HealthWorkforce Australia SLE National Project – Simulated Learning Environments Midwifery Curriculum. Final Report – November. Cooper, S., Birks, M., Porter, J., Cant, R. (2010). Evaluation of the rural and remote advanced primary care certificate course: A report prepared by Monash University for the Department of Health, Victoria, Australia. Churchill: Monash University. Kinsman L. Endacott R. Cooper S. Scholes J. Buykx P. McConnell-Henry T. (2009) Situation awareness of patient deterioration in a simulated environment. Nurses Board of Victoria. Cooper S. Blakely G. Bradbury M. Winfield L. 2007 Examiners Objective Structured Clinical Examination Decision Processes. Centre for Excellence in Practice Placement Learning. Cooper S. Johnston E. Priscott D. (2006) Immediate Life Support (ILS) training; Impact in a primary care setting. University of Plymouth.